From an IT buzzword a few years ago to one of the most innovative IT infrastructure strategies to have seen the light of day, the cloud hosting has proven itself as the one of the foremost ways to significantly cut IT operational and development costs, boosting agile application development practices and rapidly taking the product to market. From Gartner, Forrester, and Burton to IDC, all research show that the race is very much on and growing for players in the cloud computing arena. This can only cause confusion for customers and solution providers. Cloud Hosting services tend to demonstrate a vague idea of how they can benefit people with diverse and ever-expanding storage and data queuing needs over an IT infrastructure. Whether your requirements are to run a mission-critical business application, to be able to store large amounts of data or to roll out a social gaming solution for multiple-players across social networks, you must also look deep within each cloud offering. At bare minimum, these services should be able to provide you with sound service offering, service excellence, and scalability. 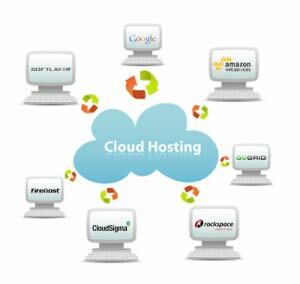 What You Should Expect From Your Best Cloud Hosting Provider? As a minimum, you should expect the following general criteria to be met in order to ensure that you are dealing with a cloud vendor or a top hosting service provider that gives importance to industry standards, compliance and certifications. The best cloud hosting provider should be able to help reduce the risk you face through consistent service availability, and data recovery services. The best cloud hosting provider should be certified and their cloud configurations should be thoroughly tested to ensure optimum integration with any legacy systems. These hosting provider should understand that by sharing their expertise, infrastructure, and innovations with their customers, they can significantly expand their customer base and reduce their costs associated with on-premise IT models and traditional disaster recovery practices. The best hosting providers should be able to accelerate your delivery. They provide access to an enterprise-class infrastructure that is production-ready, allow you to maintain control over your cloud environment, and enables you to serve secure and scalable applications through automated services will naturally be able to achieve that success. Each company on the list brings something unique to their version of the cloud. The aim of the CloudReviews.com is to provide list that helps you identify the various players in the cloud computing market, and help you purchase the right one for your needs. Whether you are new to cloud computing or are a seasoned player who understands the industry from all angles, you must keep in mind that there are no one-size-fits-all products or services in the market. At least not at this stage of the cloud evolution. While some boast a global footprint and others may be restricted to a particular geographic location by choice, it is important that you understand the implications of each decision with each hosting provider. Where possible, find and match your unique case with a vendor with expertise in that particular domain. The Cloud Reviews Top Hosting List here may not be taken as a conclusive ranking of a vendor’s capability to deliver on a particular service or a promise. Please look beyond this list, and treat it as non-conclusive, since you may have to look into specialist or niche players in the market that serve your specific needs, and may not be even included in the list.